So, this post was way overdue. I promised to update you guys on my Whole 30 Diet after each week. But here is what happened...I am no longer doing it. Just after barely making it to week two I decided that it was best for me to stop it. No, it was not because it was hard and I was weak to temptation (partly, I'll explain), but it was mainly due that it was not healthy for me, at least not at these current times. I wrote in my last post how it is extremely important to keep your health above everything else when entering a diet, and although the whole 30 diet is very flexible for anyone to do, I did not take into consideration my eating disorder and anxiety. Like I said previously, I take much care into what I eat everyday, I try to eat all organic (which some of you may debate that eating organic does not mean much), vegetables, good amount of omega 3, drinking enough water, etcetera, etcetera. But from time to time, depending on how bad my anxiety gets, I tend to binge eat. 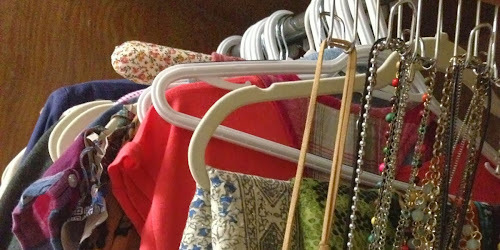 I will not get into much detail because this is such a long and complex issue that needs its own entire post, but when I decided to start the whole 30 diet, I realized it started to function as a trigger for this. I understand that every anxiety case is completely different, but I can assume that most people go through the famous analogy of roller coasters. You know, those days in which you are totally fine, having everything in control, but then suddenly you hit rock bottom and everything falls out of place and out of control. The whole issue of food for me has always been very delicate. I was known as the girl who eats all the time, thinks about food 24/7 and I thought this was harmless, just a part of me I guess. But when I understood my anxiety better and in depth, I realized that I had to take care of this part of me with caution. Most of times I can keep it in control, balancing the calories I eat in a day with the calories I burn doing exercise. I do this without thinking, it just comes naturally. Yes I do have days that I eat more than I should but what compensates is the amount of exercise I do. So these two work in unison type of thing. However, I've been having some gastroenterology problems lately that is impeding my body to perform to the fullest while exercising. This not only made my anxiety levels to rise, but it just messed with my entire diet. So as you can see, the timing was way off. It made me feel neurotic and off balance and for these reasons I decided that I should "re-schedule" this whole 30 journey. I do not want to scare you off of this diet, do not get me wrong. You can take absolutely so many benefits from it. For example, thanks to the diet I learned new recipes and ate things I never ate before. At the start of the journey I felt very excited that I was going into new territory and that I was getting myself more into the kitchen. But for health reasons I need to take this time to reconnect myself and take things into control...slowly. Once this phase clears out, you bet I will be trying again. After this first attempt, I understand the things that I need to take attention and caution of (knowing about my anxiety and its outcomes) the next time. If you also have anxiety and eating disorder, please be mindful of this. Do not ignore it and if you actually did not even think about this before entering the whole 30(just like me), I am telling you now that it may interfere with the diet. So please, please, I advice to do a week trial and see how your body reacts to it. Just overall, pay attention to what your body (and mind) tells you. And do not be discouraged if you have to start again, just give yourself time to learn, to adapt, and eventually you will get to the end line. First of all, happy 2018 everyone!! Hope everybody had a lovely holiday time with friends and beloved ones, and most importantly, with lots of food to be eaten. I sure had, especially lots of sweets. For this reason I just really am in need of a complete reboot of my digestive system. Start fresh along a fresh new start of year. Usually I eat healthy, trying to pay attention to the ingredients of products, buying mostly organic food. But now and then I go off track and go crazy with the amount of food I eat or just binge on desserts one after the other. I also realized that lately I've been up in the clouds, so lost in the healthy lifestyle world. I don't know if you guys out there feel the same sometimes, but I get this immense pressure of eating clean that I freak out and don't even know what to do anymore. So this past week, even if I had a combo of healthy meals, I just started incorporating things like cookies, bread (lots of it), cakes and other things that had plenty of sugar. I exercise religiously five to six times a week, pushing my body to the limit. But it really doesn't compensate if I will go home and eat horribly. Gym workouts are not only in the gym, but the hardest exercises are proven outside of it (with your nutrition). I've struggled with this for YEARS. It is indeed a very difficult thing to do. Everyone can go exercise for the minimum of 30 minutes recommended but the REAL test is when it comes to food. Watching youtube I came across a BuzzFeed video titled People Try The Whole 30 Elimination Diet. I've never heard of this diet before but it seemed pretty interesting although very, very hard. But I love to challenge myself, especially with things that involves a better outcome at the end. So I spent the entire day researching for recipes that are not only easy to make but also things that I will actually enjoy to eat. I carefully created a weekly meal plan so I don't get lost up in the clouds again, and have a guide to what meals I would have to prepare that day and for the following day if possible. I will be posting each weekly meal plan by the start of the week with a follow up of the previous week, sharing the struggles, the successes, things that could improve and so on. Before we embark on this journey, I would just like to say that taking care of your health is extremely important, so be mindful of all the diets out there. Be sure to communicate with your doctor beforehand to make sure what diets will work for your health needs. And remember, regardless of your end goals, whether it is to lose weight or just eat cleaner overall, your mental health is above everything else. Now let's jump on this journey! 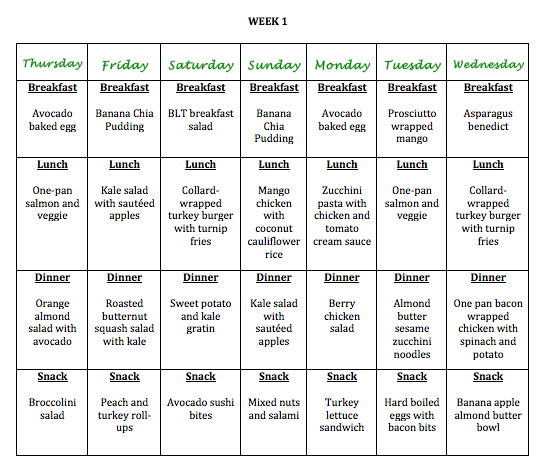 Here it goes the first week of meal plan!